The battle for Burundi: another genocide in the making? Protests and violence have rocked Burundi, raising the spectre of civil war in the east African country. 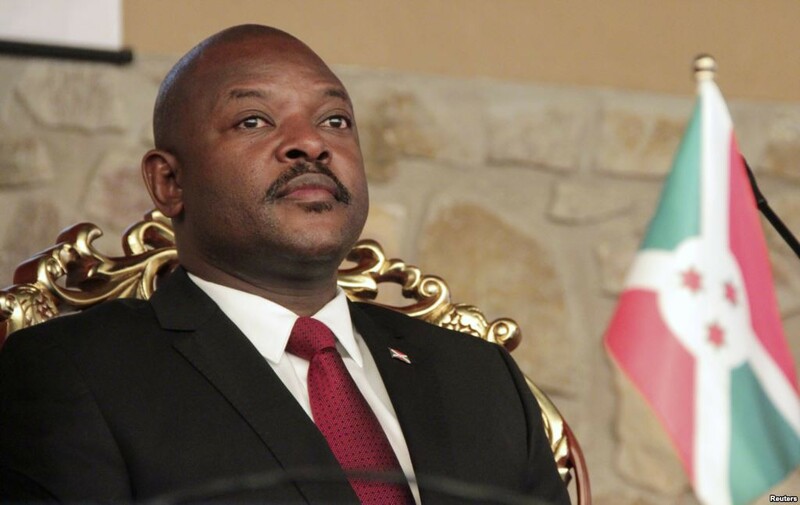 Political tensions continue to mount in Burundi. 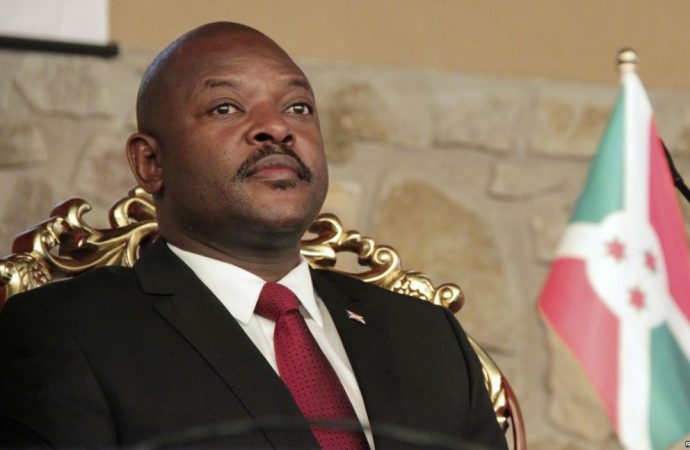 President Pierre Nkurunziza was re-elected for a third term in July 2015, exploiting a loophole in the constitution that was supposed to limit him to two stints in office. Hundreds have died in the subsequent protests, raising the spectre of civil war. If that occurs, Burundi’s neighbours could be drawn into the conflict, destabilising the entire central African region. Burundi’s modern troubles have their roots in colonial history. Belgian colonialists exploited the existing class structure to consolidate their rule over the remote colony. They installed the Tutsi aristocracy – who comprise 14 per cent of the population – to supervise the forced labour of the majority Hutus, generating ethnic divisions that persist to the modern day. In July 1962, Ruanda-Urundi separated into the modern, independent states of Rwanda and Burundi. In 1965, the interethnic Burundian government of Tutsi Mwami (‘chief’) Mwambutsa IV collapsed after the Hutu prime minister was assassinated by a Tutsi. The Mwami appointed a Tutsi to the position, sparking a failed coup attempt by Hutu military officers. For the next three decades, Burundi was governed by a series of Tutsi regimes, heavily supported by the Tutsi-dominated army and civil service. The period was marked by two coups and intermittent Hutu uprisings, resulting in the slaughter of tens of thousands of Hutus. Eventually Pierre Buyoya came to power and in 1993 he oversaw the country’s first democratic presidential election. Buyoya was defeated by the leader of the opposition, Melchior Ndadaye, who became Burundi’s first Hutu president. Ndadaye attempted to pacify ethnic tensions by forming a mixed cabinet of Hutus and Tutsis but this failed when he was assassinated by Tutsis later in the year. The subsequent Hutu uprising was met with brutality by the army, leaving an estimated 25,000 to 50,000 dead and forcing 800,000 to flee the country. A further attempt to placate tensions saw parliament elect a Hutu president and Tutsi prime minister. This gambit also failed when the president was killed in a plane crash with his Rwandan counterpart, an event that sparked the Rwandan Genocide. Thereafter, Burundi descended into civil war, waged between Hutu rebels and the Tutsi-dominated army. In 1996, Pierre Buyoya returned to office and established a power-sharing arrangement between the army and the presidency. In 2000, international pressure brought many of the warring factions together in Arusha to sign a peace agreement, which established an ethnically balanced military and government as well as fresh elections. Several Hutu rebel groups, including the Forces for Defence of Democracy (FDD), initially refused to sign the accord. Later that year, head of the FDD Pierre Nkurunziza agreed to peace, but it took until 2006 for the remaining rebels – the Forces for National Liberation (FNL) – to participate in the ceasefire. Over 300,000 Burundians died between 1993 and 2006. In 2003, Domitien Ndayizeye (another Hutu) succeeded Buyoya under the terms of the transitional government. By mid-2005, Ndayizeye had implemented a power-sharing constitution and established a new army, formed from the Tutsi-dominated military and incorporating all Hutu rebel forces except the FNL. In June, the FDD gained a majority in parliament and two months later elected Nkurunziza as president. The situation quickly degenerated. Ndayizeye was imprisoned for plotting a coup but rights groups claimed he was framed by Nkurunziza. In 2007, factions within the FNL clashed on the streets of the capital, Bujumbura, and rebel activity resumed in the north. Fighting between government and FNL forces resumed and continued until 2009, when ex-rebel Godefroid Niyombare became military chief of staff, the first Hutu to hold the position. In 2010, Nkurunziza was re-elected after opposition parties boycotted the polls, which they claimed were rigged. Nkurunziza’s administration began implementing laws that restricted media and political freedoms and attempted to change the constitution. In 2014, a UN report warned Nkurunziza’s regime was arming its young supporters ahead of the following year’s election. As the election approached, Nkurunziza declared his candidacy despite the constitution limiting him to two terms. The Constitutional Court ruled in Nkurunziza’s favour, claiming his first term was incongruous as it was a decision by parliament rather than the public. In response, tens of thousands took to the streets and officers led by Niyombare attempted a coup, sending thousands fleeing over the borders. After the election, which Nkurunziza comfortably won, violence escalated between the government and rebel forces. The African Union (AU) threatened to send in 5,000 peacekeepers but Nkurunziza called their bluff, warning such action would be considered an invasion. AU and UN attempts to deploy international monitors have also been rejected and neither body has taken further action. Since then, hundreds have died while protesting and more than a quarter of a million have fled to neighbouring countries, particularly Tanzania, Rwanda, and Uganda. In one scenario, the united opposition could cease its agitation against Nkurunziza’s government, enabling the president to continue in his role until his official two-term limit expires. However, it seems unlikely Nkurunziza will ever surrender power, having already defied the spirit of the constitution and cracked down on his rivals. Nkurunziza may be able to tame public anger against him without reconciling with the political opposition but to do so would likely require a significant uptick in the economy – doubtful given the imposition of a trade ban with Rwanda and sanctions by the EU and US. Alternatively, Nkurunziza could form a transitional government and surrender power. This also seems unlikely as Nkurunziza has already rejected truncating his presidency. Meanwhile, government forces continue to raid opposition strongholds and abduct the relatives of opposition politicians – hardly a sign of impending cooperation. Given the perceived futility of compromise – 18 months of diplomacy has failed to resolve the crisis – both Hutu and Tutsi rebels have resumed their activities in earnest. They hope to topple Nkurunziza by force. Their strength is bolstered by former Tutsi soldiers who have defected from the army, fearing persecution after reports of forced disappearances among their ethnic comrades. They may also have international support, with a UN report accusing Rwanda of aiding the rebels. However, the rebels currently only have the capacity for local violence. In the worst case scenario, the remaining Tutsi officers could instigate a coup. This would have two outcomes. If they succeed, widespread repression targeting Nkurunziza’s Hutu supporters would be necessary. Intensifying brutality by both sides would likely return the country to civil war conditions. This could eventually drag in Burundians who have fled to neighbouring states, destabilising the entire region. Alternatively, should the coup fail, the action could provoke a massacre of Tutsis. This would force Rwanda’s Tutsi president to intervene, escalating the civil war into a regional conflict. Either outcome offers the possibility of fragmenting the military along its original Hutu rebel/Tutsi army lines. The situation in Burundi is going from bad to worse. At the end of September, as a UN commission was established to investigate the torture and murder of government opponents, one of the last opposition leaders allowed to operate freely was detained for days without charge. Two weeks later, Burundi voted to leave the International Criminal Court. Yet as in 1994, global attention is elsewhere. The situation is primed for a repeat of the Rwandan Genocide.